Persil Laundry Detergents have been uniquely developed with a powerful combination of stain-fighting enzymes that help break down stains for an exceptional clean. 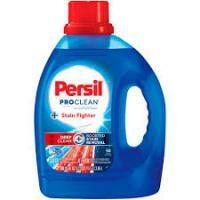 Experience premium clean with the stain-fighting power of Persil Laundry detergent. That's the best one I've seen.